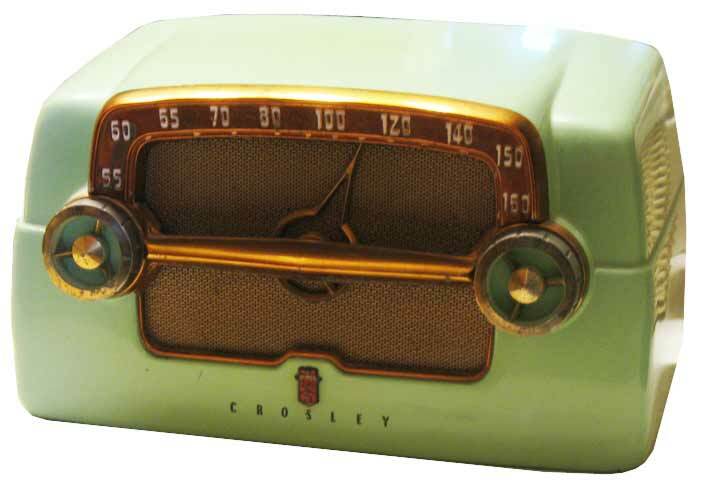 The Crosley E15CE came out in 1953 and like the 1950s offering of radios from Crosley, the E15CE is reminiscent of automotive styling of the era with the big oversized knobs and grille. The original sale price was $40 and this radio came in a variety of paint colors as indicated by the lettering in the model number past E15. The CE indicates Chartreuse paint color.